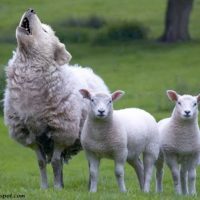 (Rick Becker – Famine In The Land) “I know that after my departure fierce wolves will come in among you, not sparing the flock; and from among your own selves will arise men speaking twisted things, to draw away the disciples after them. Therefore be alert, remembering that for three years I did not cease night or day to admonish every one with tears.“ Acts 20: 29-31. If the apostle Paul were alive today he would have been accused of being a heresy hunter, judgemental, divisive, unloving, and would have been rejected by certain well known churches and teachers that are adored by millions. Paul was however judging righteously when he warned of false teachers. He was dividing correctly by making a distinction between truth and error, and he was loving in that he presented the truth in order to save those being tossed about by the various winds of doctrine. It is these winds of doctrine that are systematically poisoning millions within the Evangelical Industrial Complex. It may take some time for false teachings to have an effect, but when they do, they are destructive. In this article we explore seven effects of false teachings. 1. SENSUALITY that leads to destruction. I don’t think I even need to list the church scandals of the past few decades. Pulpits have become a platform for predators of the worst kind. Sexual abuse, affairs, abuse of power and the lust for money in the visible church have made it difficult for unbelievers to make a distinction between the immorality of the world and what takes place in the church. This is how the way of truth is blasphemed.